Delivering excellent patient care is a primary concern in the healthcare industry. But with growing 21st century challenges, the only way to ensure quality patient care is with proper compliance training. 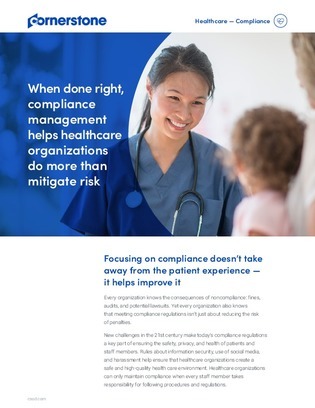 For hospitals juggling an array of ever-changing regulation requirements, maintaining compliance can seem impossible.